Here at TM we get a lot of clients in the door looking to spruce-up their current website or launch an entirely new site. Luckily for them, we do both! However, regardless of whether it’s a brand new site or an update to an old site, in order to launch a website, there are a number of things you’ll need to consider first. A Domain Registrar is the company you go through to register your site’s domain name. Some popular companies in the domain space include GoDaddy, Hover, and Domain.com. Some Domain Registrars also sell hosting services. Though we at TM have our own dedicated servers with a web host, looking into registrars that offer hosting services may be the right thing for you if you are looking for a simple one-stop shop for all your web hosting and domain registration needs. Don’t have a preference? That’s OK! For what it’s worth, the large majority of TM clients register their sites through GoDaddy and we typically do the same. You’ll find that terms in the online sphere are either incredibly obvious or painfully oblique. Like Domain Registrar, Web Host finds its definition in the incredibly obvious category. Your Web Host is the company that you will have host your website on its servers. Many companies offer a variety of packages for their web hosting clients that include hosting sites on dedicated or shared servers. Imagine that scene in your favorite action movie when the hero breaks into a guarded room full of towers of blinking lights and ominous hard discs. Each of those towers is made up of several servers. A dedicated server is one that hosts data for a single customer. A shared server is one that hosts data for several different customers. Dedicated servers are typically more expensive, but give you more control over data and bandwidth allocation. Shared servers are less expensive, but the trade-off is less control. It’s like buying a vacation house vs. buying a timeshare. Either way, no matter what you decide to go with you’re still lounging in the Bahamas. A CMS or Content Management System is the platform that your website will be built on. There are tons of CMS’ out there, offering varying degrees of convenience vs. control. Some of these Content Management Systems include WordPress, Joomla!, and Squarespace. WordPress is the most popular CMS in the world, purportedly powering 30% of ALL the websites on the internet today. For a variety of reasons, not least of which being its wide proliferation across the world wide web, we prefer to build our websites using the WordPress CMS. Frankly, it’s what we’re most comfortable with and, at the end of the day, you’d better be comfortable with whatever CMS you chose because you will be working with it for a long time. Do you want to sell something? 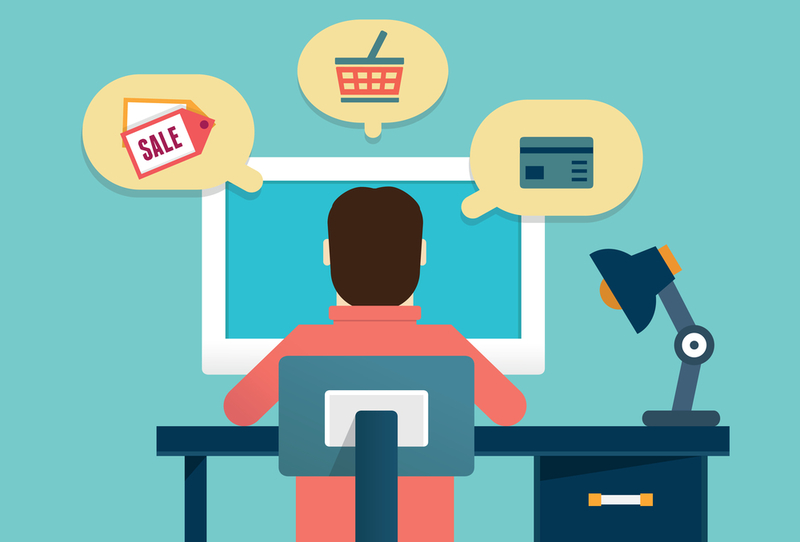 What eCommerce Cart will you use? At the beating heart of any eCommerce site lies a shopping cart. If you are looking to sell things on you website the eCommerce Cart you choose may be the most important decision you make. There are tons of eCommerce Carts out there to choose from, including WooCommerce, Shopify, OpenCart, and Magento. Some are free and some are not. While it is possible to migrate your products from one cart to another, it can be a messy prospect (especially if you have a large inventory). With that said, it is best to find the Cart that fits your current needs AND your future ones. How could I know my future needs? You might be asking. Simply put, you can’t. That’s why it’s best to look for an eCommerce site that is already looking at your future needs. If they aren’t prepared to grow then they’ll eventually stagnate. That could mean you’ll be looking for a new eCommerce Cart sooner rather than later. As far as we, the Bean Team, are concerned, Logos & Design are the most fun part of putting together a new website. Functionality is crucial, of course, but if your site doesn’t look good visitors won’t feel good when they visit and they probably won’t visit again. Good design can say everything you want to say to a site visitor or potential customer without a single line of text. As the old adage goes, a picture is worth a thousand words. While how your site runs is probably the most important part of running a good website, as far as your visitors are concerned the look is all that matters. If you’re interested in transforming your website or starting completely from scratch, contact Transformation Marketing today and we’d be more than happy to point you in the right direction. Previous StoryHow does your site look on mobile?